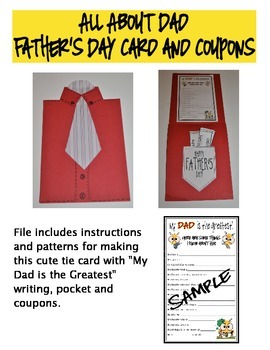 This file contains the printables and patterns to make these cute shirt and tie cards for Father's Day. It also includes a writing activity with three options for students to answer questions about their fathers, grandpas, or a special person. This is attached to the inside of the card. Their answers are priceless and the cards will be cherished long after Father's Day!